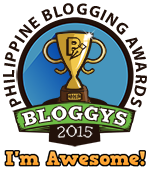 Manila, Philippines -- As we all know, the Philippines is filled with great actors and actresses from the local scene, and most of them if not all, is being awarded and recognized by different organizations due to their magnificent acting and portrayal of a given role for a certain show, and Jaclyn Jose is no different. This veteran actress is one of this year's most celebrated celebrity ever to become an awardee in the recently concluded Cannes Movie Festival. The movie Ma' Rosa in which Jaclyn Jose starred, gave her the opportunity to become one of Festival De Cannes Best Actress. This movie is directed by Mr. Brillante Mendoza, and will finally be shown in the Philippines this July 6. 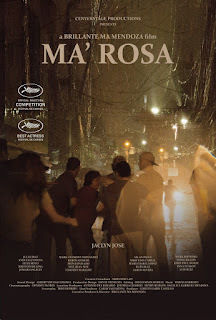 Ma'ROSA is the story of Rosa, that owns a small community convenient store connected to their home in the slums of Metropolitan Manila. Together with her husband, NESTOR, they use their convenient store as cover-up for selling illegal narcotic, Methamphetamines. Their fate changes one Saturday night when their neighbor BONG-BONG, who works as a fly-by- night parking attendant, begs her to sell him a small pack of Methamphetamine without knowing that it’s a ploy for a pending buy-bust operation leading to Rosa and Nestor’s warrantless arrest by a police team led by Sergeant CASTOR. This Movie stars the following: Jaclyn Jose, Julio Diaz, Andi Eigenmann, Felix Roco, Jomari Angeles, Inna Tuason, Mark Anthony Fernandez, Baron Geisler, Mon Confiado, Neil Ryan Sese, Mark Dionisio, John Paul Duray, Vince Rillon, Mercedes Cabral, Allan Paule, Maria Isabel Lopez, Aaron Rivera, Ruby Ruiz, Kristoffer King, Timothy Mabalot, and Luis Ruiz. Ma'Rosa is brought to you by Centerstage Productions thru Solar Films.